A former Labour mayor and trade union figure from the north of England has urged people in Scotland to vote for independence. Craig Johnston, the former mayor of Carlisle, says a Yes vote will “energise the debate about devolution” across the UK. Mr Johnston, a regional organiser for the RMT union, also hopes a new constitution in an independent Scotland will implement workers’ rights and “instil a bit of fairness in the workplace”. 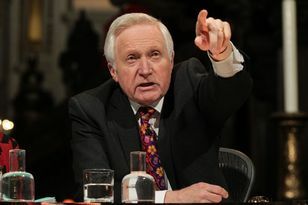 Criticising the Labour Party, he said: “I don’t want the Labour Party to be like it is. “I can’t support a Labour Party that introduced the private finance initiative and let the moneylenders into the NHS - Nye Bevan’s temple. Dennis Canavan, chair of Yes Scotland’s advisory board, said: “This is yet more evidence of the breadth and sheer energy of the Yes campaign. Steve Bowditch, current Labour mayor of the city disagreed and said a Yes vote would be “extremely damaging for Carlisle”.